With Moon Michigan's Upper Peninsula's expert tips, local insight, and countless activities, you can plan your trip your way. 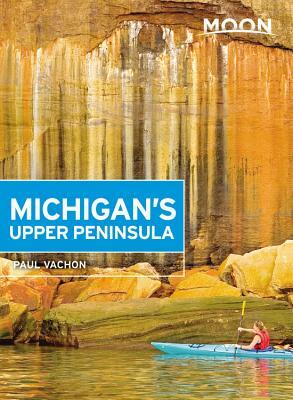 Lifelong Michiganian Paul Vachon's introduction to the Upper Peninsula came as a childhood trip to the fascinating Soo Locks in Sault Ste. Marie. From that point forward, he developed a love for travel in general, and for Michigan in particular. Over the years, Paul has visited virtually every corner of the Great Lakes State. One of his favorite pastimes is heading "up north" on Interstate 75 to any of a myriad of Michigan destinations. Paul has also traveled extensively both within and outside of the U.S. His international destinations have included the U.S. Virgin Islands, Canada, Guatemala, Denmark, Italy, Israel and Egypt. Paul began his writing career in 2008 and covers topics as diverse as travel, Detroit history, business, education and green living. He is the author of three books on Detroit area history, Forgotten Detroit, South Oakland County and Legendary Locals of Detroit. Paul lives with his wife Sheryl and their son Evan in Oak Park, a suburb of Detroit. You can learn more about Paul by visiting his website, www.paulvachonwrites.com.